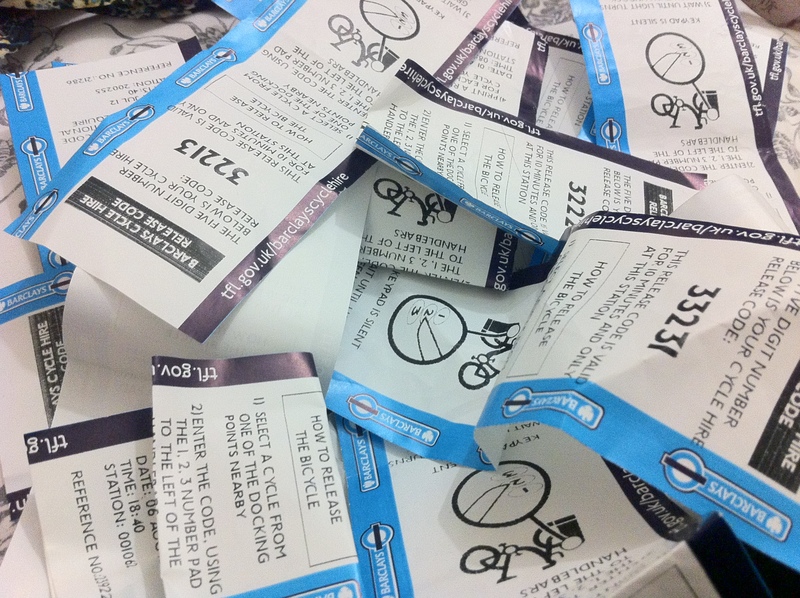 Tidied up the last tonight, found all of my Barclay’s Bikes receipts, seems like I cycle, a lot. In the… just over three weeks (wow) I’ve lived in London, I’ve hired a bike 32 times, not including the receipts I’ve just thrown away. My yearly bike ‘key’ should arrive tomorrow, fingers crossed!